With smart grid deployments, rising fuel costs, and more cost effective electric vehicles, demand for electric vehicle charging stations is positioned for explosive growth. 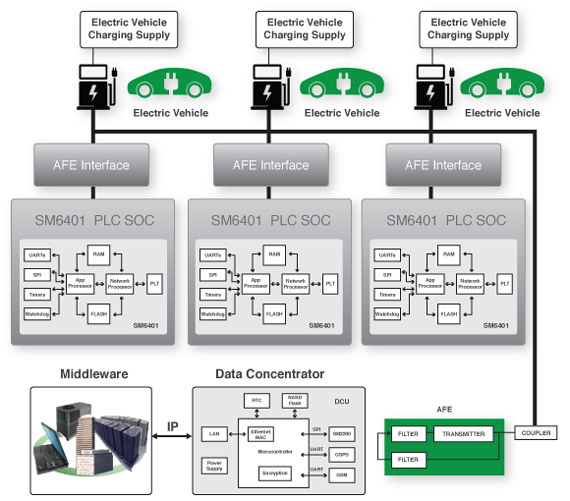 This V2G (Vehicle to Grid) infrastructure deployment requires communications between charging stations and billing and management systems. Power line communication is an ideal solution, utilizing installed power lines, providing strong security and enabling large number scalability.